Ornate cream metal garden bench. Vintage style, ideal for setting out in the garden or on the patio or terrace. Add some style to your garden this summer and sit out in comfort. Beautiful vintage style garden bench. More colours and styles available. The bench folds away for easy storage. 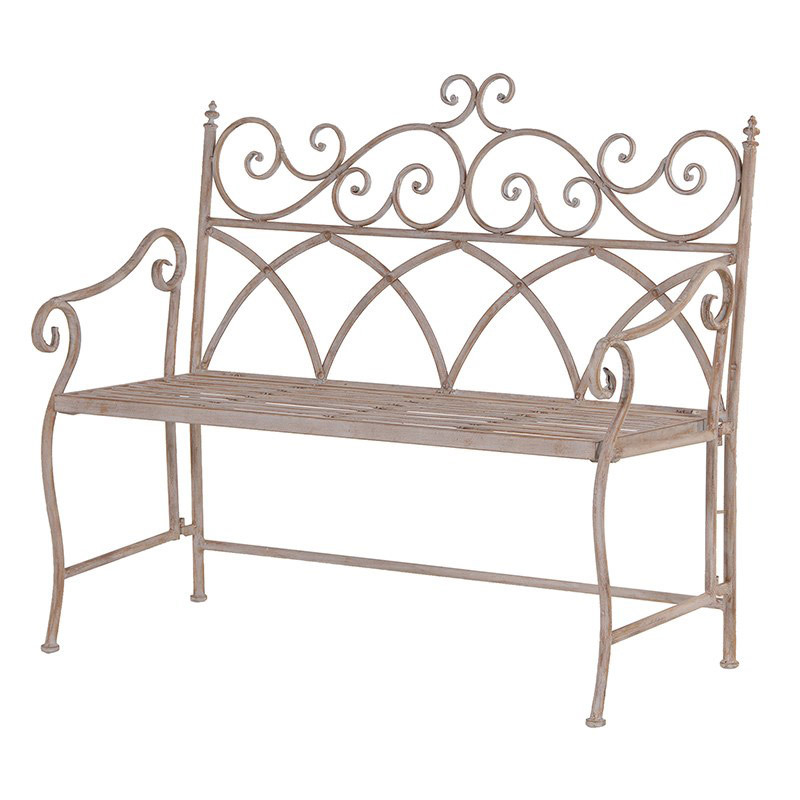 Ornate cream metal garden bench. Vintage style, ideal for setting out in the garden or on the patio or terrace. Add some style to your garden this summer and sit out in comfort. Beautiful vintage style garden bench. More colours and styles available. The bench folds away for easy storage. Made from metal and painted in a rustic, distressed cream finish. The bench comes fully assembled, needs opening out for use then folds flat for easy storage.